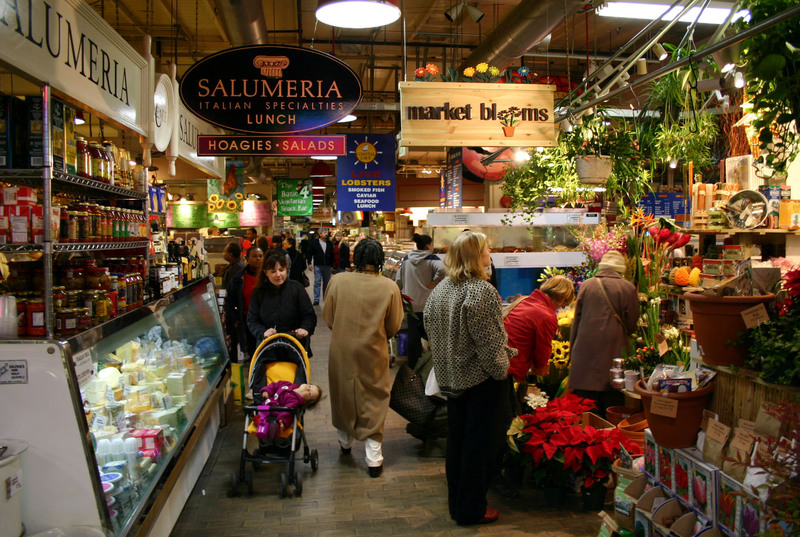 Reading Terminal Market, a 75,000 square foot indoor market – the largest at the time – opened in 1892 to great fanfare. Operating on the ground floor of Reading Railroad’s new train station the market flourished for decades before it began to decline in the 1950’s. By 1980, the market was almost abandoned – a handful of vendors remained and there were more rats than customers. However, the Reading Railroad was emerging from bankruptcy and decided to revive the historic market. A new management team was put in place, led by PPS’ Senior Director of Public Markets David O’Neil, and given the charge to build the vendor and customer base. Leasing efforts were intensified and the number of vendors – all local, independent merchants, farmers and producers, increased from 23 to 80. To increase patronage, the market was cleaned, new stall design standards were implemented and an aggressive promotional program was put in place targeting local residents and commuters who had stopped shopping at the market. 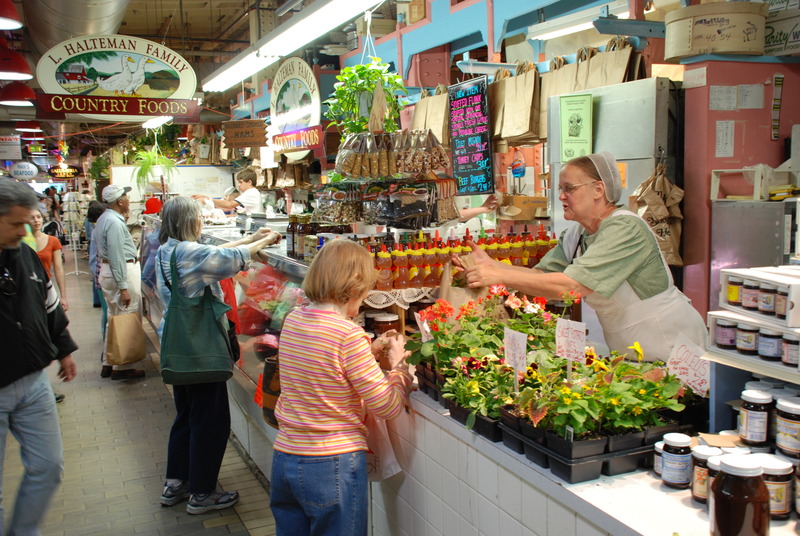 After an initial increase in customers, market vendors experienced gradual rent increases which were then reinvested into the market’s revitalization project – public funds were never used. Historic renovations of the façade were undertaken; public spaces for seating and events were enlarged; operating standards were revised; new triple-net rent systems were implemented to pay for increased services and new trash systems were put into place which reduced its waste stream by 50%. During the period of revival there were many obstacles to overcome – multi-year street closures, fires, continued abandonment in the neighborhood and the loss of anchor department stores and retailers. However, the market gradually became profitable for the landlord, sales for the market quintupled and customer visits increased dramatically. The turnaround of Reading created hundreds of new jobs and contributed to a renewed sense of vitality in downtown Philadelphia. Sales and customer visits continue to grow and the market remains a top attraction.